A therapy dog can do wonders for a senior looking for companionship. Taking care of a dog is a great way to spend time while living in a senior living community. It promotes regular exercise, socialization, and companionship. Dogs are loving and loyal creatures that are known as a man’s best friend. Plus they come with many health benefits. It’s proven that by petting a dog, it can lower blood pressure and release endorphins. Owning a dog also helps with mental, physical, and emotional well-being, making them the perfect health benefit for seniors. When looking for a therapy dog, It’s important to choose a breed that fits your loved one’s lifestyle and health condition. 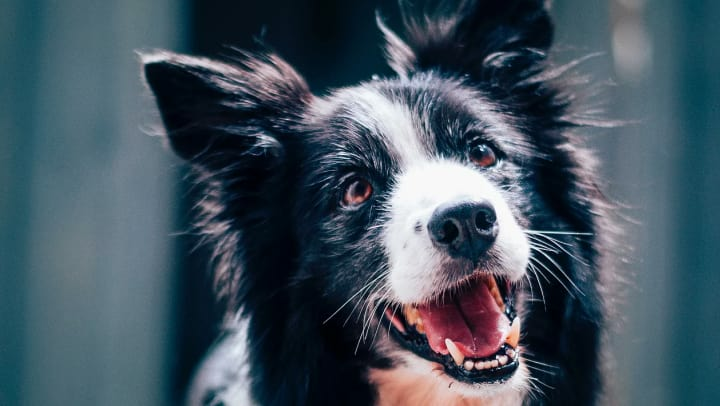 In this blog, you can find the dog breed that’s perfect for your loved one. Saint Bernards, Golden Retrievers, and Newfoundlands are known for their kind nature, making them great for visiting grandchildren. They’re generally obedient, patient, and loving breeds that enjoy spending time with people. The best dogs that don’t need a lot of maintenance are Pomeranians, Chihuahuas, and Beagles. These dogs are smaller and easy to take care of. It’s also best for seniors that enjoy spending time at home and looking for all day companionship. For seniors suffering from arthritis, it can be hard to take care of and walk a dog on a regular basis. The best dog for those with arthritis are Basset Hounds, Bulldogs, and Bullmastiffs. These dogs are known for being relaxed, slow moving, and gentle. They also only need a mild amount of exercise each day so they won’t need walked very often. Staying active is important for those with heart disease, high cholesterol, or diabetes. That’s why it’s great to have an active dog that enjoys taking a stroll outside or playing in the park. Airedale Terriers, Border Collies, and Siberian Huskies are active dogs that will help motivate their owners to go for a quick walk. Guide dogs help the visually impaired get from one place to another without running into obstacles. Golden Retrievers, Labradors Retrievers, and German Shepherds are the most common seeing eye dogs. They’re known for being healthy, gentle, and helpful. If your loved one is allergic to dogs, there are many hypoallergenic dogs to choose from that have hair instead of fur. The top hypoallergenic dogs are Poodles, Bichon Frises, and Malteses. These dogs won’t shed all over the place and are less maintenance. As seniors moving into assisted living or independent living communities, it helps to have a friend to make the transition with. Dogs are the perfect companion that help to reduce stress and make the transition of moving into a senior living community a little easier.